Unless you’ve been living under a rock (and a big one at that), you’ll be aware that the world has gone crazy for Stranger Things. The sci-fi slash horror slash thriller slash coming-of-age drama slash exercise in ’80s nostalgia was released last year on Netflix and quickly achieved a worldwide cult following. Excitement was rife for the follow-up season – and rightly so. 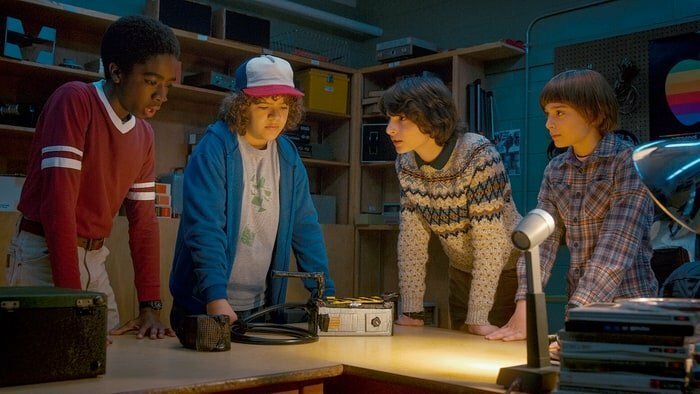 Released on Saturday, Stranger Things 2 was just as captivating as the first time round, with most viewers binging the entire thing in one mammoth sitting. It was bigger, better, bolder – and jam-packed with even more references to the iconic film and TV shows that co-creators the Duffer Brothers hold dear. So, assuming you’re looking for something to fill the hole in your life having watched the whole thing this weekend (if you didn’t, why are you reading this article – spoilers, mate! ), we’ve rounded up some of the best references. We repeat: tread carefully, there be spoilers. In episode three of Stranger Things 2, Dart – the pet Dustin discovers lurking in the dustbin – violently gives birth to more legs and another version of itself. It harks back to the nightmarish scene in Ridley Scott’s Alien, when the Xenomorph memorably busts out of the chest of John Hurt, gore and all. But, it isn’t just this scene in which Alien is revitalised. The journey to find the strange gooey substance in astronaut helmets all seems too familiar, while Paul Reiser takes on a role eerily similar to the one he performed in Scott’s film. Don’t even get us started on the demise of good old Bob, either. Since airing last year, Stranger Things has found itself synonymous with E.T. comparisons (the iconic scene of the three boys on their BMX bikes, anyone?). However, E.T. also has motifs throughout the first season in its entirety: think Eleven getting dressed up in disguise, a lot like E.T. does while helping himself to a few beers. Eleven is essentially a modern, slightly more stable version of Carrie. A young girl taunted by her past, gaining telekinetic powers is obviously similar, and when they are both mocked they can become violent. But the outfit choices through the scenes also link the two together. The pink dress seen Stranger Things on Eleven, and the pink dress worn on Carrie’s prom night. While technically a ’90s phenomenon, Twin Peaks can be found in the Netflix show. The cult Lynchian series follows the investigation of the murder of homecoming queen, Laura Palmer. Set in mystical town, Twin Peaks, it is a series full of misty mountain terrain and log cabins. Sound familiar? With similar scenery and a penchant for fog, Hawkins, Indiana could certainly find itself twinned with Lynch’s most famous creation. As well as this, the typography from the opening credits of both Stranger Things, and Twin Peaks are the work of Ed Benguiat. The links are everywhere. Kids saving the day is always going to be an important part to any coming-of-age saga. A group of friends, bound together by the pull of daring adventure. It’s enough to make you well up. Anyhow, nobody did that better than The Goonies – and references are littered throughout Stranger Things. 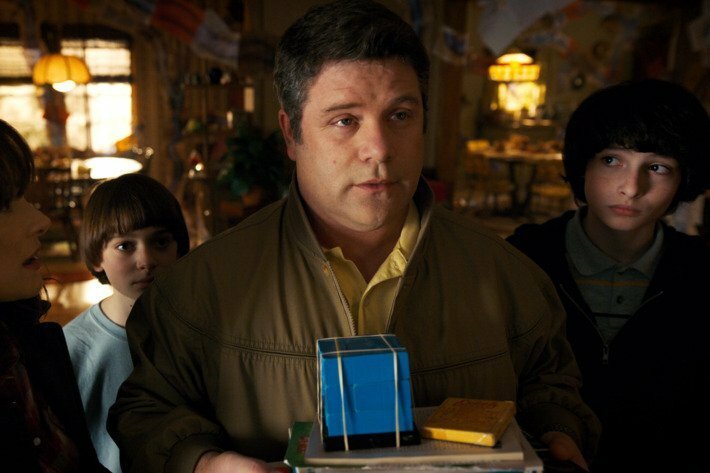 Even through their choice of casting they have related it back, with Sean Astin – former Goonies child star turned Lord Of The Rings icon – starring as Joyce Buyers’s love interest, Bob. RIP BOB. WHY. WHY. WHY.